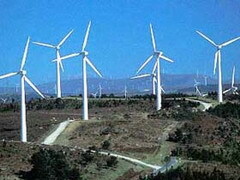 Cuba's experimental wind farm located in the special municipality of Isle of Youth has saved the island's economy more than $71,000 dollars over the last four months. According to the head of the project, Evaristo Morales Avila, the windmills produced 643.84 MW/h by the end of May, which represent a saving of some 154.5 tons of fuel oil. Morales noted that the energy produced during the four-month period of service could have benefited a group of 900 families consuming 150 kW/h a month. The wind farm, whose units are fabricated by the French company Verget, is the first facility of its type on the island, though two other windmills have been producing energy over the last few years in the central province of Ciego de Avila.